Last week I wrote about a rumor that All Nippon Airways was interested in acquiring a stake in Philippine Airlines. This has now been confirmed. It has just been announced that All Nippon Airways will buy a 9.5% stake in Philippine Airlines at a cost of $95 million. All that being said, on the surface I wasn’t sure how much of this investment was driven by ANA actually seeing a big return from the airline, rather than just forging a closer partnership. 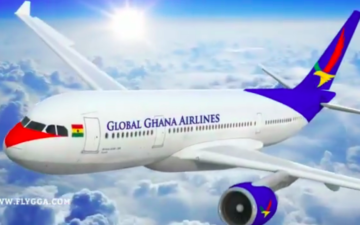 The two airlines could strengthen ties without any sort of an investment. It’s not like Philippine Airlines is wildly profitable, as they seem to swing between posting mild profits and mild losses. This also isn’t ANA’s first investment in another Asian airline. In 2016 ANA bought an 8.8% stake in Vietnam Airlines. While the two airlines are in different alliances (ANA is in Star Alliance and Vietnam Airlines is in SkyTeam), the partnership has worked out well for them. 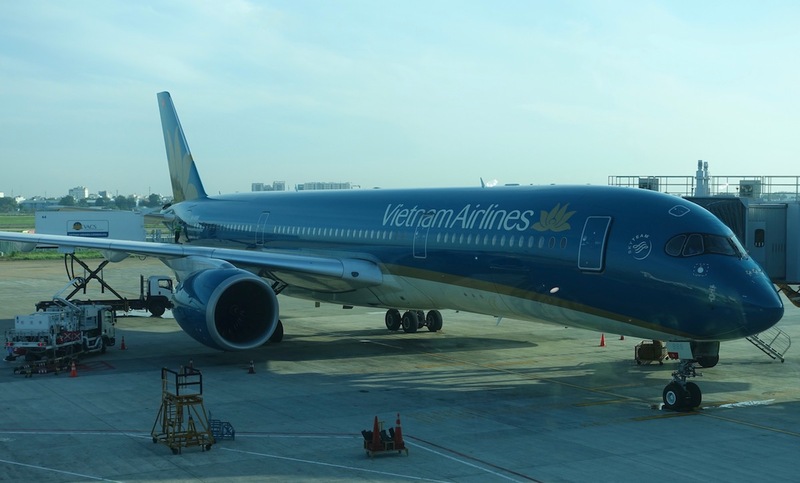 ANA and Vietnam Airlines offer reciprocal mileage earning and redemptions, and they also codeshare. So, what’s the motive for this investment? As ANA explains it, this is part of their mid-term corporate strategy over the next few years, through which they’re trying to expand their international group network, which they’re considering to be their main growth pillar. They’re doing this by strengthening partnerships with foreign airlines to provide a more comprehensive network for passengers. What’s interesting to me is that these investments are largely outside of their alliances and joint ventures. It’s interesting to see the different investment approaches that airlines take. Some airlines try to invest in airlines in order to build a cohesive global network of sorts (look at Delta’s investments in Aeromexico, China Eastern, and Virgin Atlantic, or Etihad’s failed investments in a bunch of dumpster fire airlines). Other airlines invest in a way that has less apparent motives. It’s clear that ANA’s strategy here is to work more closely to Philippine Airlines, though it’s not entirely clear why they needed to invest in them to work more closely together. I also wouldn’t expect Philippine Airlines to join the Star Alliance, as much as I’m sure they’d like to. What do you make of ANA’s investment in Philippine Airlines? Why don’t they reintroduce redemption on Etihad. Philippine Airlines and ANA codeshare on flights between Japan and Philippines already. The issue is that the Philippines second and third tier cities are totally controlled by Philippines airlines, Cebu Pacific and Air Asia. It is very hard to leave the country and travel long distance without booking two tickets on two different airlines. Philippine Airlines getting into an alliance would unlock the country for that alliance. Remember the Philippines is a bunch of islands and everyone flies around. Most domestic flights are one hour or less. Also there is a big growing middle class in the Philippines that has money and lots of people living overseas. The Philippines is not a poor country anymore. Also growing tourist market that will only get bigger and the tourist do not go to Manila, they go to the islands but they have to travel through Manila. Which requires them to buy two tickets. I actually think it’s in PAL’s best interest not to join an alliance as I don’t think it will benefit them that much and none of the 3 alliances need PAL either. 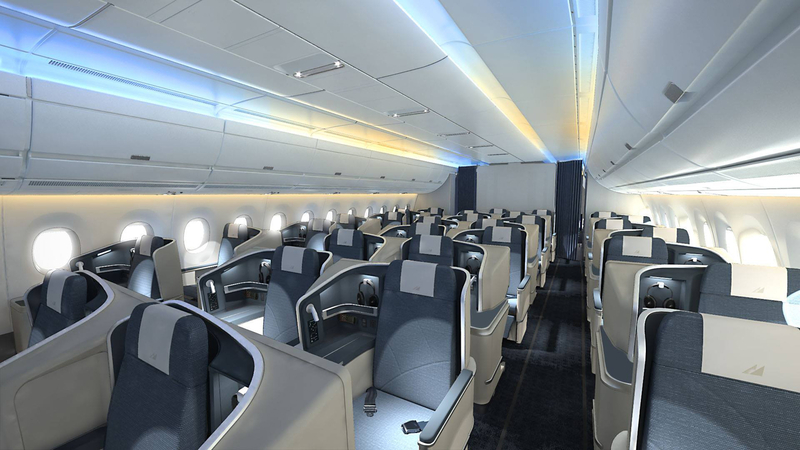 Oneworld already has CX and MH covering southeast Asia; Star Alliance SQ, BR, and TG; Skyteam has GA, VN, and CI. It’s probably better for PAL to take its time improving its image and focus on delivering a solid hard/soft product first before joining an alliance. 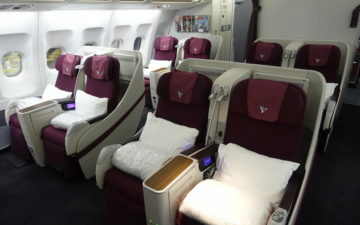 Since this is a miles/points blog, we all know what will happen to PAL business class award inventory once PAL joins an alliance… we’d use AA/UA/DL miles and redeem them to dry up award inventory. Look at what happened to EVA when it first joined star alliance. 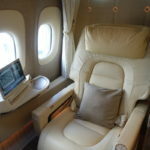 I recently looked at the skytrax 5 star airlines and noticed two out of 11 airlines don’t have a First Class offering (EVA and Hainan) and that one out of 11 airlines is not part of any of the 3 alliances (Hainan) so it’s certainly possible for PAL to be a 5-star rated airline without being part of any alliance and without offering a First Class cabin. I hope they reach their goal someday but hope to do so in their own terms. I think the “introducing of [airline] cabin attendants as in-flight service assistants on ANA flights” is something NH does with OZ as well. I took an ANA flight HND->GMP in 2011, flown on NH metal, and the FAs were dressed in both the ANA blue/green uniforms and the OZ brown/beige uniforms. For the life of me I can’t recall hearing anyone speak anything other than Japanese to/around me, but it was a short flight eight years ago. Though the FAs in OZ garb did have more Korean facial features. Either way, it struck me odd that there’d be OZ FAs on an NH plane. To add on to an earlier comment, most of the growing tourist or business destinations in the Philippines are still a flight away from MNL (Cebu, Palawan, Boracay, Bohol, Davao, among others). Some of these destinations in particular are becoming more popular with East Asian tourists so I imagine a stronger partnership with PAL would help ANA increase capacity to these destinations. I could even see ANA introduce a nonstop to CEB from NRT/HND as Cebu in particular is a growing business market and also a short drive/plane/ferry away from several tourist attractions. Virgin Australia is not a ‘dumpster airline’ & probably the only one making profit. Though personally I wish Etihad would sell their share of Virgin Australia to allow Singapore Airlines to do a full take-over. Singapore Airlines for ever has wanted an Australian airline (Ansett Australia initially), so they could access the Pacific & take on Qantas on the Australia – US market. Prior commenters made the key point I was going to make. But let me just add that Japan recently relaxed the rules regarding admission of Filipinos as workers – something Japan desperately needs due to (1) its ageing population and (2) low birth rate. Japan also invests heavily in infrastructure projects in PH – currently focused on metro and rail projects. In the airline aspect, it’s doubtful PAL will ever out-compete Cebu Pacific or Air Asia at the budget end of the market. Therefore their only option is to capture the higher end coupled with international traffic. 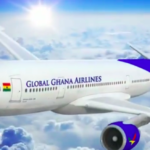 They remain unique in having the only direct flight to London, although rarely the cheapest option and certainly not the best product either hard or soft. Personally I rather enjoy breaking up such a long journey and having several options to do so. Re Mike jones…… It’s obvious you haven’t been to the Philippines lately. The Philippines IS a POOR COUNTRY and it will remain so for many years to come. Economist magazine reports 76% of the Philippine economy is controlled by 2% of the population. The rich run the place, and have structured the economy and employment practices to keep the poor poor. President Duterte can only do so much because the political scene is a farce. At any given moment in time, 10% of the population is working overseas because there is a dearth of jobs in the country. Without these OFW (Overseas Filipino Worker) employees sending remittances back to their families, much of the country would starve. 99% of all the high-rise condos and buildings under construction or built in the last 10 years in Manila have been fueled by outside foreign money, usually Japanese or Korean. I’ve traveled to the Philippines a number of times and have visited a few of the provinces. I invite you to take a 2 or 3 day tour of Tondo, the largest slum in Manila with over 500,000 residents. You will find many families of 6 or more living in what we in the West would consider a walk-in closet, with no table, no chairs, no fridge. 10% of the population is approximately 10, 000,000 people. The population of the Philippines is slightly more than 100,000,000 people. That’s right, 100 million on 7,107 islands. On PAL’s monopoly of the direct route to London, there are many OFW nurses and professionals working in the UK and yet live in places outside of Manila. PAL having the only nonstop route gives them enough feeder passengers from all over the country, as well as from London tourists visiting different parts of the Philippines (granted that the latter may be much fewer than the former). All of these takes are quite interesting but for the record, the Philippines isn’t a poor country. Although yes, the income gap is quite severe it’s not as if one half lives in complete and total poverty while the other half orders personalized mai tais in their own private condo building, or whatever. Poverty in the Philippines naturally is a complex problem that requires intervention in both private and public sectors, and contrary to popular beliefs, isn’t stagnating. We’re definitely seeing the rise of the middle class. Lots of airlines (all IATA ones) interline with airlines that are not part of their alliance. Nor do you have to codeshare to get a through ticket. And whether there are investments between airlines is also completely irrelevant. @Janine – the Philippines not being a poor country would be a surprise to the many countries that have, and continue to supply, foreign aid to it. I do wish PAL well. Hopefully one day they can join an alliance or extend some interline arrangements, as connectivity to domestic flights is not great and can force overnights in Manila. Sorry Mike Jones but as an American married to a Filipina who goes to the Philippines every year and is planning on retiring there I must say the Philippines is still a poor and in many ways underdeveloped country. Most of the recent infrastructure is being financed by the Chinese, Koreans and Japanese. The average Filipino has never been on an airplane. There is a growing but still very small middle class. Much of the money in the Philippines is due to OFW remittances. Without that the Philippines would really be in bad shape. PAL needs to expand to Seattle, Las Vegas and other cities in America in order to generate more revenue. There are a lot of Filipinos who travel from the US there every year and most of them do not take PAL due to a lack of flights, cities served and high cost even for economy. PAL needs to join one of the alliances sooner than later. And as for you Debit another irrelevant, ignorant comment from a true moron! Well, The World Bank defines Philippines as on track to be a middle-income country by 2019, so its not technically classified as a poor low income country. More Filipinos today are able to enjoy and appreciate that simple luxuries we take for granted. Back on topic, I’m exciting for this partnership! I think there will be a lot of exciting synergies and growth for both Airlines. In one article I read, one thing PAL is hoping for in this relationship is joint cooperation on aircraft purchasing agreements with ANA for favorable terms. With ANA as a shareholder, they might be able to acquire and expand their fleet even more aggressively than they have been the past couple of years. @Eric: PAL possibly being able to ride on ANA’s favorable aircraft purchase terms would be a positive prospect. I’m not expecting too much though, as I see ANA really pursuing growth themselves. @PVM. There was a recent article lately where SIA just recently blamed Virgin Australia’s recent quarterly loss in the last quarter for a profit downturn in SIA group’s own last quarterly period. Every time there’s an article on SQ “buying a further stake in VA” which occurs every year, it always turns out to be a fizzer. I would not be surprised if SQ actually wanted out of VA.
Also the Australian government will not let 5th freedom airlines on the Trans-Pac route, plus there are already 5 airlines basically operating as 3 entities. QF/AA, VA/DL and UA. There’s been parties including NH and long-time VA’s BFF DL playing the “long game” and being coy whether they would buy either the HNA or EY stakes in VA.